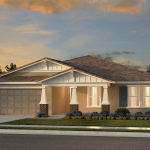 FRESNO, Calif.--(BUSINESS WIRE)--KB Home (NYSE: KBH) today announced the grand opening of Laurel Grove, its latest community of single-family new homes in Fresno. Situated near Highways 99 and 180 for easy commuting throughout the greater Fresno area, Laurel Grove is convenient to Community Regional Medical Center, California State University, Fresno, and the retail and dining establishments at Eastgate Shopping Center. 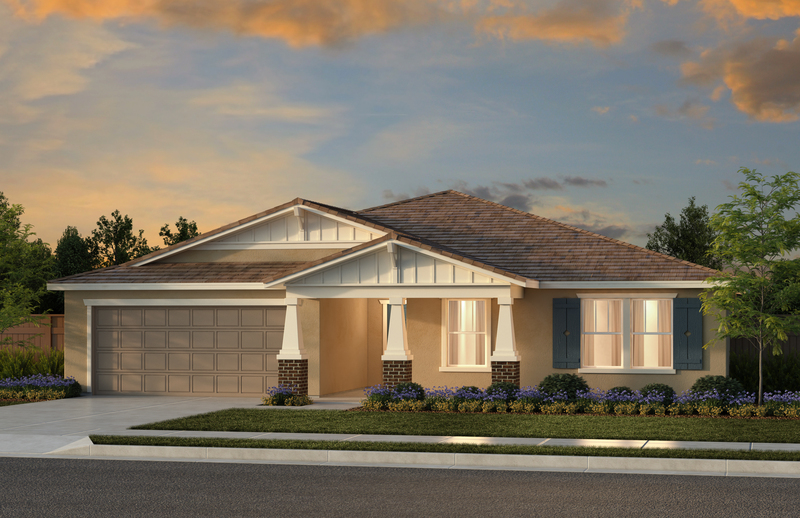 At Laurel Grove, KB Home will construct 178 one-story homes and offer seven distinct floor plans. With up to five bedrooms and three baths, and ranging in size from 1,500 to 2,400 square feet, the homes at Laurel Grove also feature desirable design characteristics such as expansive great rooms, two-car garages and elegant master suites. Pricing begins in the $270,000s. Residents of Laurel Grove can enjoy the community’s proximity to a variety of family attractions, including Fresno Chaffee Zoo, Forestiere Underground Gardens and Chukchansi Park, home of Minor League Baseball’s Fresno Grizzlies. Outdoor enthusiasts will delight in the community’s closeness to world-renowned national parks like Yosemite, Sequoia and Kings Canyon. School-age children living in Laurel Grove may attend school in the Sanger Unified School District. KB Home will host a grand opening celebration at Laurel Grove on Saturday, Feb. 2, 11 a.m.–2 p.m., during which attendees may tour the three elegantly appointed model homes. Refreshments will be provided. The KB homes at Laurel Grove will be built to current ENERGY STAR® certification guidelines and include WaterSense® labeled faucets and fixtures, meaning they are designed to be more energy and water efficient than most typical new and resale homes available in the area. These energy- and water-saving features are estimated to save home buyers between $3,204 and $3,456 a year in utility costs, depending on floor plan. KB Home’s distinct home building process allows buyers to personalize many aspects of their new home to suit their budget and style. After selecting their lot and floor plan, KB home buyers can work with expert design consultants, who will guide them through every aspect of the process at the KB Home Design Studio, a retail-like showroom where they can select from a variety of design choices, including countertops, cabinets, lighting, appliances and window coverings. The Laurel Grove sales office is located at 829 S. Bridle Ave. From Hwy. 99 South, merge onto Hwy. 180 East. Exit S. Temperance Ave. and turn right on E. Hamilton Ave. and left on S. Bridle Ave. The sales office will be on the right. The Laurel Grove sales office is open Mondays 2–6 p.m., Tuesdays through Fridays 9 a.m.–5 p.m. and Saturdays and Sundays 10 a.m.–6 p.m. For more information about Laurel Grove, or KB Home’s other new-home neighborhoods, visit www.kbhome.com or call 888-KB-HOMES. KB Home (NYSE: KBH) is one of the largest homebuilders in the United States, with more than 600,000 homes delivered since our founding in 1957. We operate in 38 markets in eight states, primarily serving first-time and first move-up homebuyers, as well as second move-up and active adults. We are differentiated in offering customers the ability to personalize what they value most in their home, from choosing their lot, floor plan, and exterior, to selecting design and décor choices in our KB Home Studios. In addition, our industry leadership in sustainability helps to lower the cost of homeownership for our buyers compared to a typical resale home. We take a broad approach to sustainability, encompassing energy efficiency, water conservation, healthier indoor environments, smart home capabilities and waste reduction. KB Home is the first national builder to have earned awards under all of the U.S. EPA’s homebuilder programs — ENERGY STAR®, WaterSense® and Indoor airPLUS®. We invite you to learn more about KB Home by visiting www.kbhome.com, calling 888-KB-HOMES, or connecting with us on Facebook.com/KBHome or Twitter.com/KBHome .